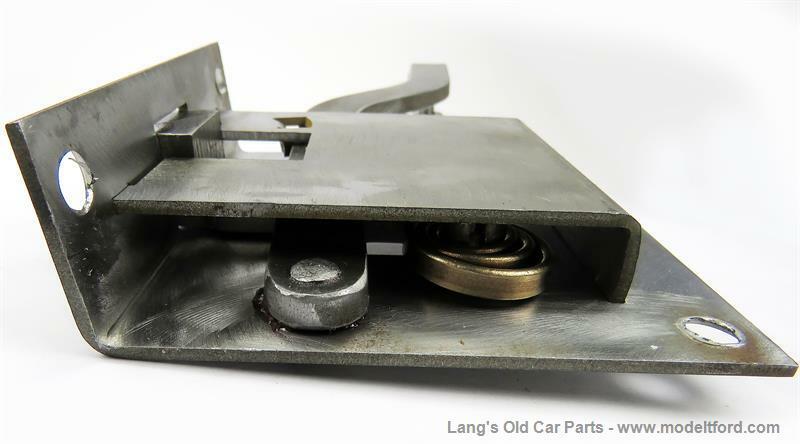 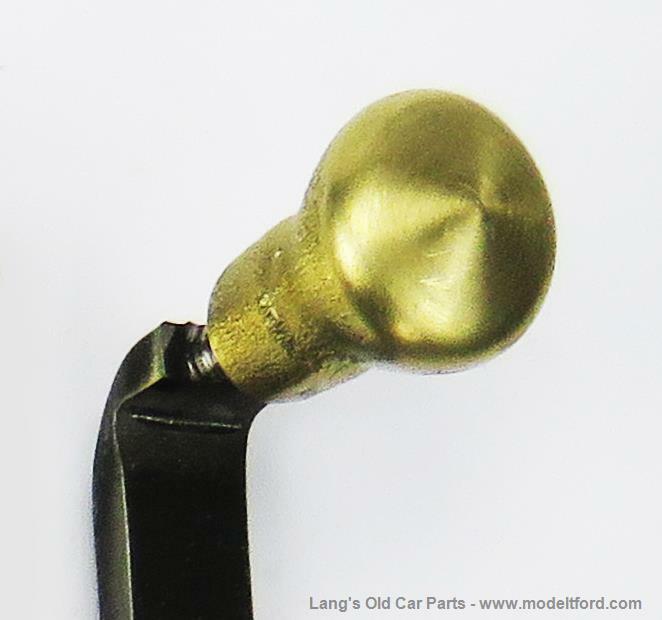 Complete door latch for 1911 Torpedo Roadster. 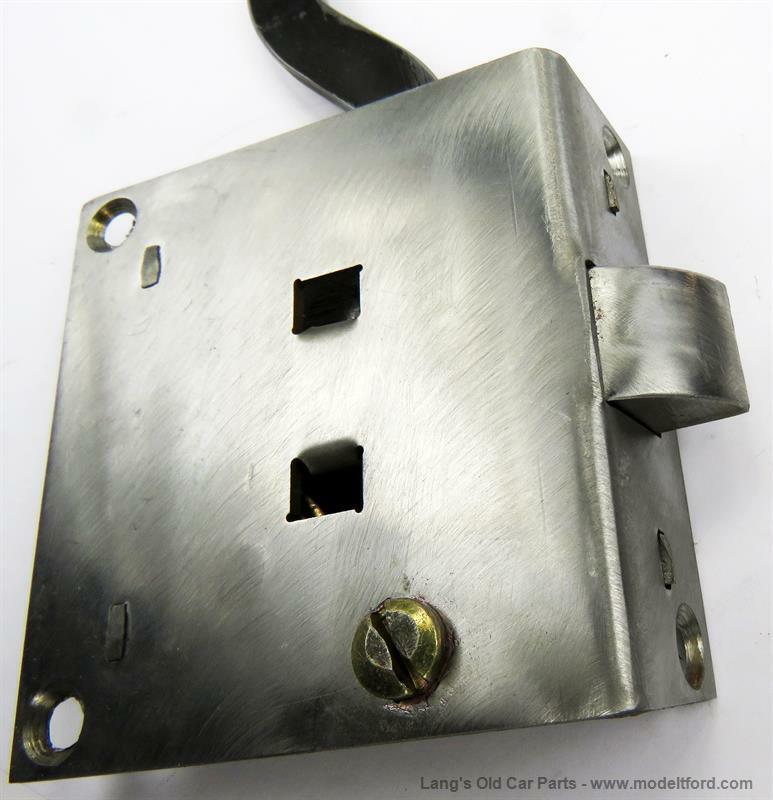 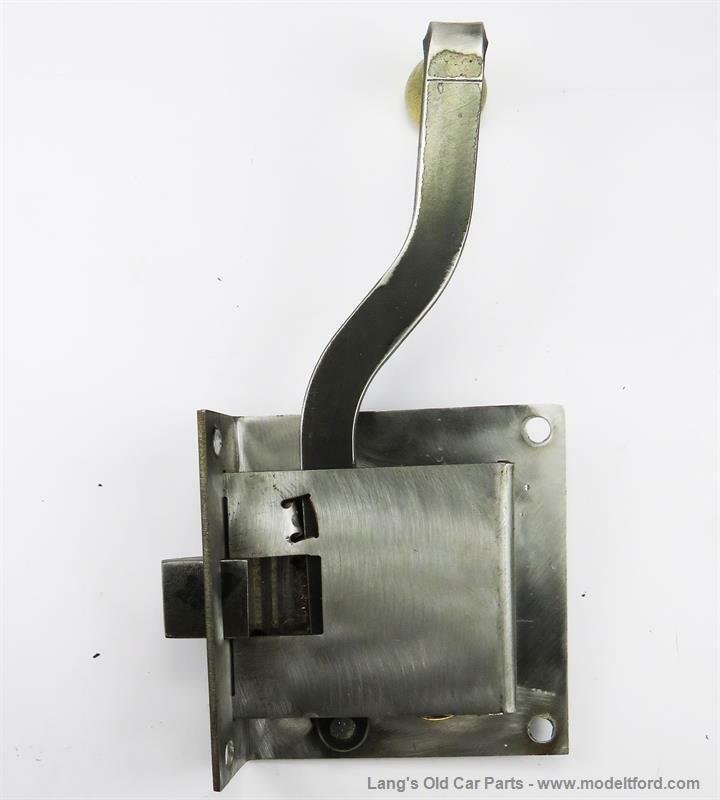 This door latch set includes the two latches for both doors, two brass bezel plates for the top of doors, two brass knobs for the end of the handles and two striker plates. 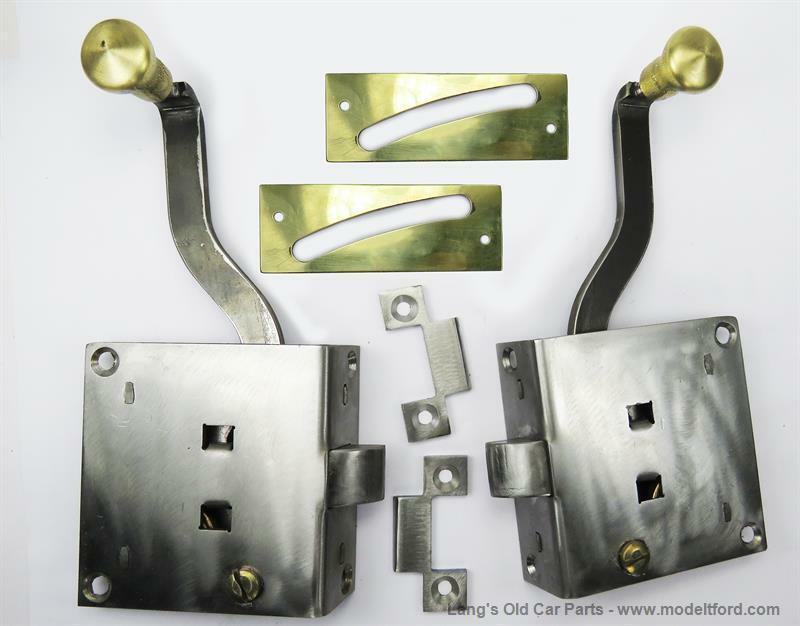 Excellent quality reproductions, made in the U.S.A.